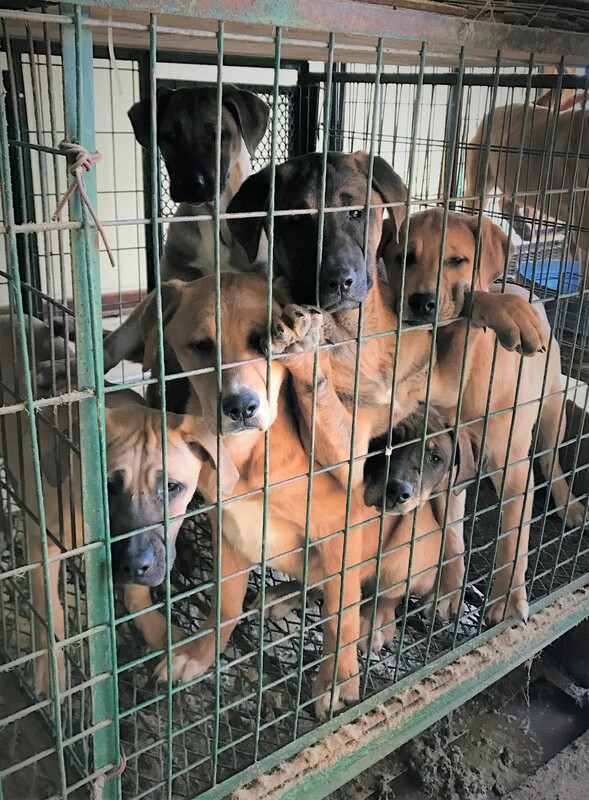 Dear supporters, as much as we love watching Nami Kim and her SaveKoreanDogs.org team rescue these poor puppies from hellish conditions, it’s important to remember that her hard work costs a great deal of money. Nami has dedicated her life to rescuing, fostering, and finding forever homes for these puppies, and has funded this cause by asking her mother for financial support every month. We don’t feel that she should have to do this; we feel the financial burden should be shared by all of us who support the effort to save the puppies. Nami receives a multitude of requests for help daily but unfortunately has to turn most of them down because of a lack of funding. 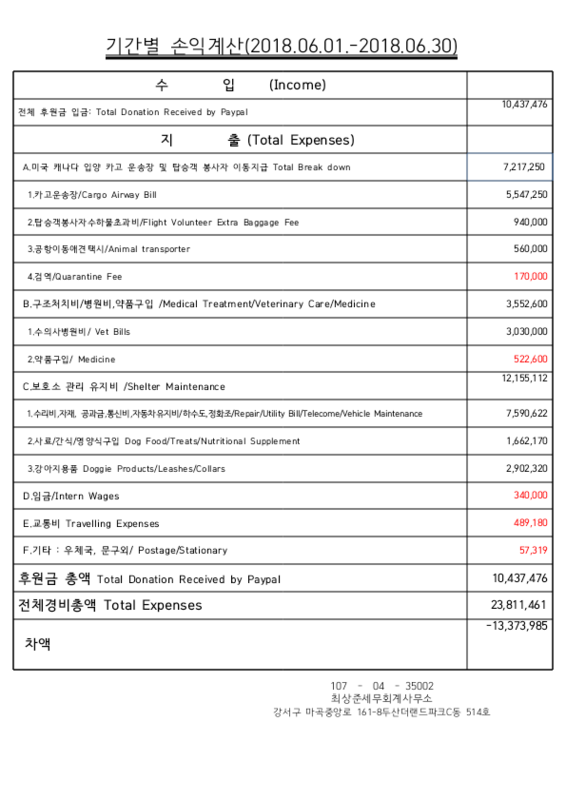 Take a look at the SaveKoreanDogs.org financial statement; they are in the red. Please help Nami continue her work to save these poor puppies who have known only cruelty and misery throughout their short lives. Help her continue her work to end this horrific industry in Korea. You can make one-time or monthly donation. Click HERE to make your donation today. Your donations support all expenses related to the rescue of the dogs including: care of rescued dogs while in the shelter; vet bills for medical treatments, vaccinations, and spaying/neutering; shelter maintenance/repairs; staff wages; dog transportation; heat control during the winter months; and dog food and treats. Monthly distribution of donations are posted each month by their accountant. Thank you for opening your hearts and helping to fund this vital effort to save the Korean dogs! Click HERE to learn more about SaveKoreanDogs.org. Click HERE to follow SaveKoreanDogs.org on Facebook. These are innocent creatures. Leave them alone. I Pray to GOD everyday for someone or something to end this nighmare . Humans are truly Evil. I agree! This is evil. We need to make Koreans understand this. I’d like to make a one-time donation at this time. Is that possible or is monthly the only option? SHAME KOREA !!! STOP TO TORTURE POOR ANIMALS, STOP TO COOK POOR ANIMALS ALIVE !!! KOREAN PEOPLE YOU ARE NOT HUMANS, YOU ARE MONSTERS !!! This behavior is INSANE and MUST STOP!!! These animals have feelings and can feel pain. All they live for is LOVE and KINDNESS!!! Why on GOD’s Earth would anyone do such an imaginable thing. These people should have the exact same thing done to each of them, so they would know what it is like to feel the same INSANE pain these poor innocent animals have gone thru. There is no reason on earth these people should live, because they are no good to be on this earth. They should be in HELL!!!! This horrific abuse has got to stop! These beautiful dogs are man’s best friend and ask only for love and companionship! Human’s who would inflict this kind of pain on any living creature are evil and cowardly! It is said a country should be judged by how it treats its animals so we petition the country of South Korea to do the right thing and shut down the dog meat trade!! A country should be judge by how it treats its animals! 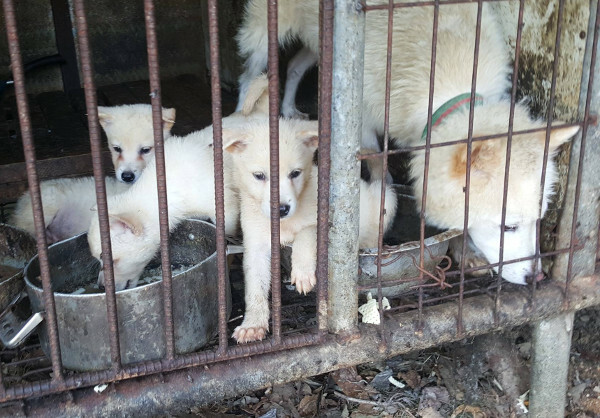 South Korea you are petitioned to shut down the dog meat trade and do the right thing! People who subject such pain and suffering on any of God’s creature are evil and cowardly!! As long as this horrific suffering continues in this medieval country, we will boycott the KIA, Hyundai, Samsung, LG, Daewoo, etc. Certainly, NONE of us will travel to S. Korea. It is beyond comprehension how anyone can inflict terror and torture on any living being! I agree with all of the above comments. GETTING THROUGH TO THE BRAIN ( NO THEY HAVE NO BRAIN) EMPATHY OF THESE INDIVIDUALS HAS BEEN WITHOUT SUCCESS AFTER MILLIONS AND MILLIONS HAVE PROTESTED NOW THE ONLY WAY IS TO HIT THEM WHERE IT HURTS AND THAT IS FINANCIALLY BUT OUR GOVERNMENTS HAVE NO INTEREST EITHER SO WHAT DO WE DO NOW????? Keep up the good work and saving these dogs. What you do is amazing and needs support from individuals like us. I will help Nami to stop this horrible behavior that South Koreans has, DONATE, not only compassionate words, DONATE! Süd Korea ist ein Land, in dem viele Christen beheimatet sind, umso unfassbarer ist es, dass noch im 21.Jahrhundert solche unglaublichen Grausamkeiten und Brutalitäten an chancenlosen Mitgeschöpfen begangen werden. Regierungen aller Länder sehen zu, bewegen sich nicht und der jeweilige Papst glänzt ebenfalls durch bloßes Nichtstun und Ignoranz, anstatt endlich einmal gegen die in aller Welt abscheulichen Verbrechen an leidensfähigen Mitgeschöpfen an zu gehen. Asiatische Länder, in denen Hunde und Katzen gequält, brutal behandelt und auf unvorstellbar grausame Weise getötet werden, müssen begreifen, dass wir nicht mehr im Mittelalter leben und solche “Überlieferungen” in einem Land mit zivilisierten und aufgeklärten Menschen keinen Platz mehr haben und der Vergangenheit angehören müssen!